Celebrating its sixth year, Genius Loci—an ancient Roman phrase which means “the prevailing spirit of a place”—is an international electronic music festival bringing people from Austria, England, Brazil, U.S., Mexico, Japan, Costa Rica, Canada, Venezuela and more. 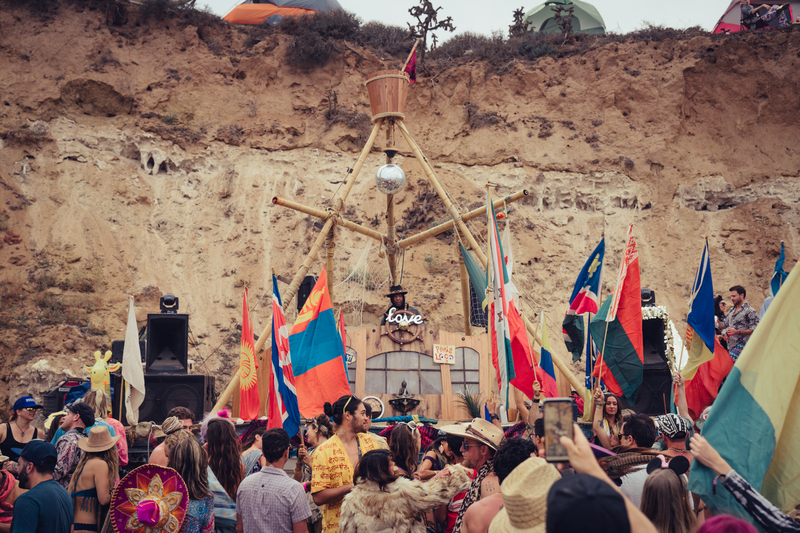 The female-heavy lineup featured acts across various subgenres of electronic music, from the bass-laden maiden TOKiMONSTA to deep house legend Marques Wyatt. 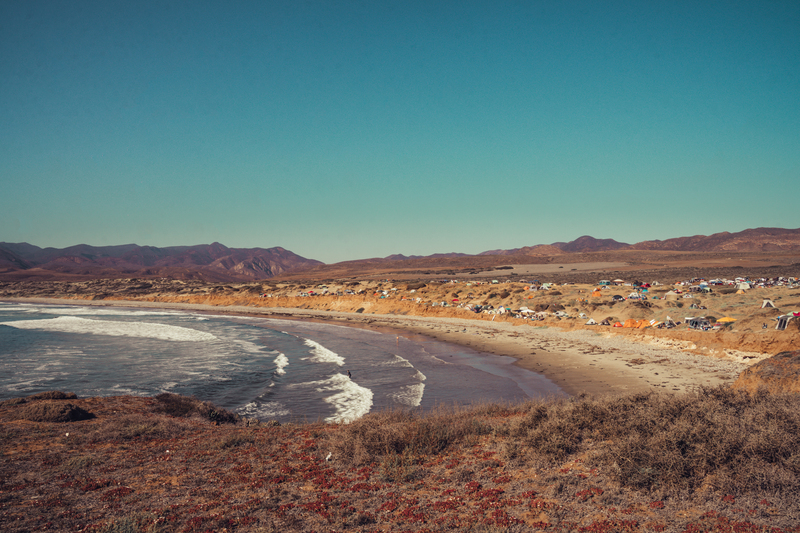 Taking place on Punta Cabras, a picturesque peninsula that is defined by pastel flora, velvety sand dunes, epic surf and carved bluffs, the intimate event feels more like a family gathering and hosts around 1,000 attendees. With tourism in Baja, Mexico, down because of he-who-shall-not-be-named, Pope alongside his fellow co-founder Eduardo Manilla (aka Loboman) are working not only to bring more tourism to Baja but also to cleanup the surrounding terrain. Working with the local authorities and community, Genius Loci and its colorful people have become beloved by the remote town. They’ve brought jobs and commerce to the region and beyond that, they’ve brought exposure to an entirely new culture of people who respect each other, the land and the people who live there. 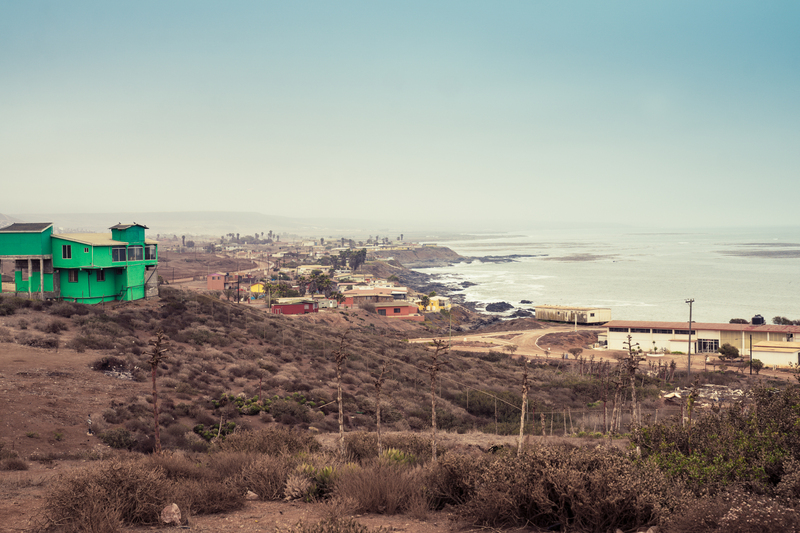 In addition to hiring workers from Eréndira, Genius Loci has also employed people from other neighboring towns such as Ensenada which is a few hours north of Eréndira and the hometown of the aforementioned Manilla and his brother Alejandro (who graced the lineup under the moniker Massio). The festival has even spawned entrepreneurial opportunities, beginning a few years ago when Manilla asked his neighbor in Ensenada if she’d be willing to sling some quesadillas to hungry patrons. With a BBQ and a cooler, she accepted the job and has since evolved into a full-scale kitchen operation, leading to the genesis of an event catering company and a geodesic dome company (called Baja Domes). By bringing locals and non-locals together under the banner of music over the past six years, the Genius Loci family has made substantial enhancements to the land and its inhabitants. And the list goes on. In addition to their contributions to the community, their contributions to the land are also noteworthy. The amount of trash on and around the festival grounds has subsided, leading the locals to learn by example; they're now doing their part to clean up the garbage that has accumulated throughout the landscape. While Eréndira still has a long way to go as far as waste cleanup, there has been a visible difference, even since just last year. But, as ambitious as Pope and Manilla have proven themselves to be, they are taking it to the next level in the hopes of making an even greater impact. While the beach itself is federal land, the land located 20 meters beyond is private property to which Genius Loci has exclusive rights, an agreement made between Manilla, Pope and the landowner. With each year, however, they are essentially leasing the land to eventually buy with the goal of owning the land themselves. Once acquired, they can continually maintain the property and build permanent infrastructure. The good vibes continue to spread, as it’s not just Eréndira that’s benefiting from Genius Loci. According to Manilla, Baja California has a unique regulation that says if you are throwing an event which attracts a young demographic, the organizers must donate a portion of the profit to the educational system which is then distributed to various high schools across the state. This means, by purchasing a Genius Loci ticket and beating up the dance floor with your friends ‘til sunrise to spooky techno music, you are actually indirectly helping the high school kids of Baja. Not the worst way to spend a paycheck. Bringing music festivals from the U.S. to other countries has long been a contentious topic, with some arguing that this is yet another form of imperialism. However, after talking to locals and expats alike, it is clear that this is not the case with Genius Loci.